Nanjing Marine Engineering Technology Research Center of Steel Piling established in Shunli. 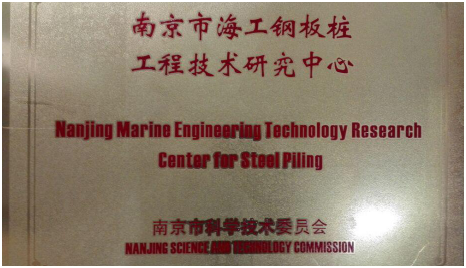 It is the first and only technology research center for marine use sheet piles in China. Supported by the largest cold-formed steel piling production base in China, the center will play a significant role in steel piling industry. Shunli has become the absolute leaders in piling industry !